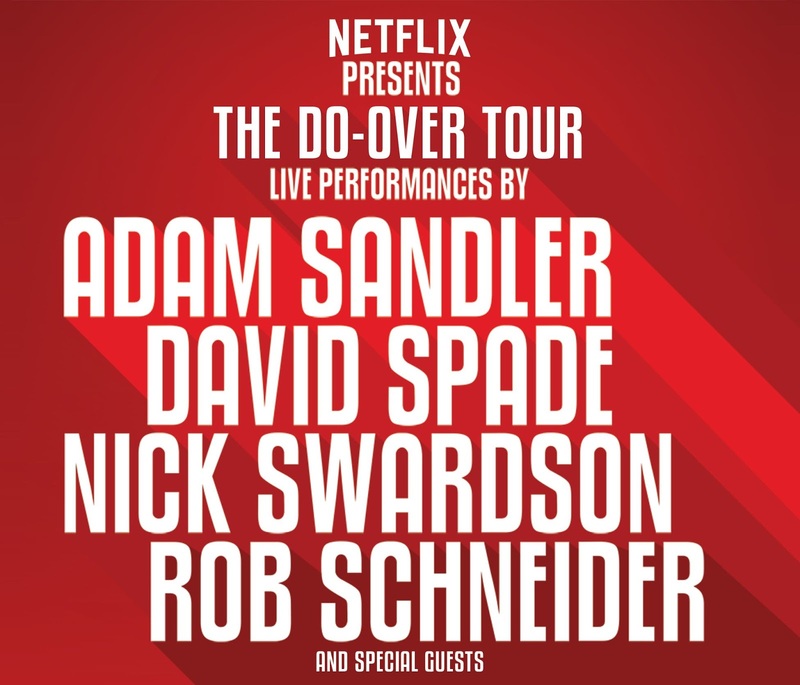 Netflix presents The Do-Over Tour with comedians Adam Sandler, David Spade, Nick Swardson and Rob Schneider live on May 24 at EagleBank Arena at 7:30 PM. Special guests will also be part of the show. Tickets go on sale April 1 at 10 AM. 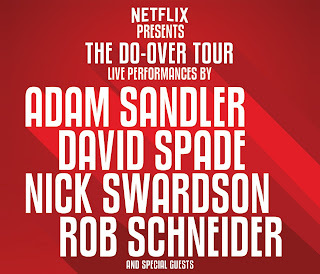 Who: Adam Sandler, David Spade, Nick Swardson, Rob Schneider and special guests. TICKET INFORMATION: Tickets for Netflix presents The Do-Over Tour at EagleBank Arena on May 24 at 7:30 PM are $125, $85 and $55 (plus applicable service charges) and go on sale April 1 at 10 AM. Tickets will be available through all Ticketmaster outlets including the EagleBank Arena box office, online at www.ticketmaster.com or via Phonecharge at 1(800) 745-3000. Accessible seating is available for patrons with disabilities by calling (703) 993-3035. For more information, please visit www.eaglebankarena.com.